We elevated this global wellness warrior’s brand and website. 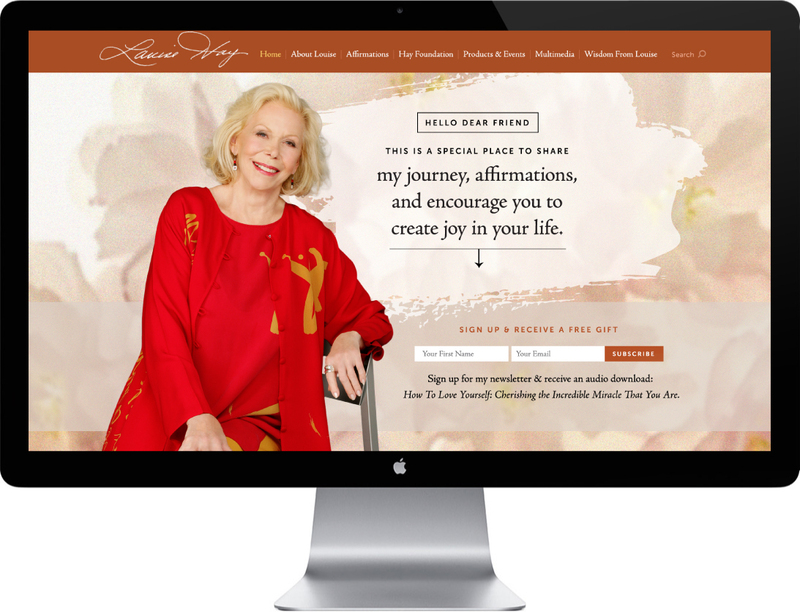 Louise Hay, a global game changer in the self-help and wellness movement, was ready to enjoy retirement, but at 89 years old, she desired to revamp her website to showcase her journey, products and continue her legacy. Katana asked us to help elevate Louise’s branding and website. Together we quickly revamped her web experience. Her previous site was outdated, not user-friendly and not optimized for mobile. She needed a site to more effectively share her story, while expanding the promotion of her product line and online resources. We created an experience that feels like entering the comforts of Louise’s home, with hints of art and affirmations, and her story throughout. We animated various photos of her on the homepage, welcoming the viewer to the site, and kept her warm, neutral brand color palette so her content could be more colorful and bold. 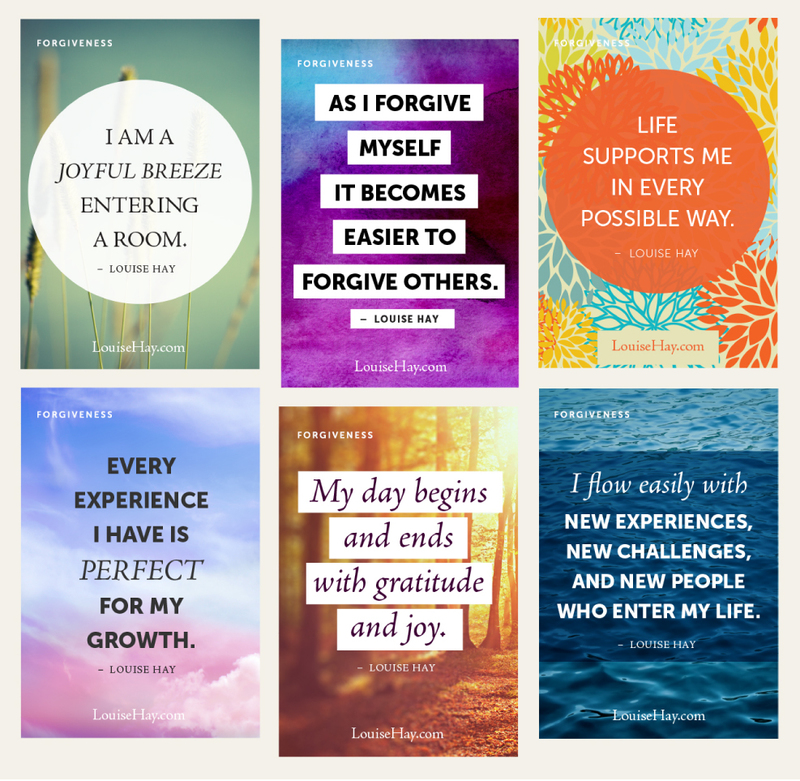 Louise’s Affirmations are powerfully popular– her encouraging life quotes. We created new designs for her affirmations and made them easy to share to users social media on her site. Additionally, to help her in-house team, we created templates so they could update her 250-plus affirmations to be added later to her site. 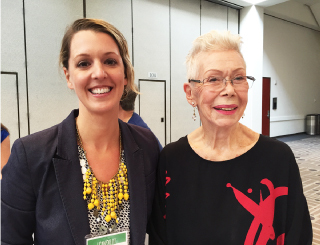 Louise Hay’s first book, Heal Your Body, has been on the New York Times best-selling list since 1976, translated in 25 languages and sold in 33 countries. After she conquered an “incurable” cancer, she’s been on a mission to share her wisdom and heart for others. It was honor to meet her and transform her website. What a joy it was to work with such talented, creative minds to create a beautiful space to share my story, affirmations and more!